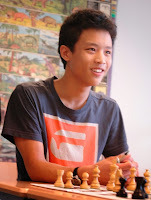 Woodbridge School chess teacher IM Adam Hunt and Woodbridge School pupil FM Justin Tan currently share the lead in the Bavarian International Open on 3/3, along with 34 others! The huge entry of 474 players has been treated to a complex accelerated pairing system. It seems to be working, however, as the lowest-rated player on three points is rated at 2041. 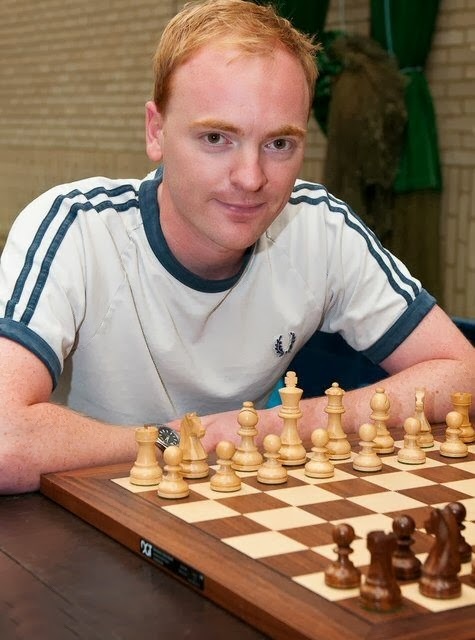 The 100% scorers include 13 Grandmasters, 7 International Masters and 12 FIDE Masters. The latest pairings can be viewed here. The tournament is over nine rounds, finishing on 3 November. So far, all six of Adam's and Justin's opponents have been relatively low rated. But the tournament proper starts now for Justin, as he faces 2522-rated GM Kempinski in Round 4. Adam has it easier as he has managed to be paired against the lowest-rated player on three points. Since his arrival earlier this year from Australia, Justin is the highest-rated 16-year old in the UK, even higher (currently 2333) than Alan Merry. Presumably this event is one where Justin will be hoping to obtain an IM norm. He will need a rating performance of at least 2450, which may be difficult to obtain because the average rating of his first three opponents is only 1997. As an example, a score of 7/9 needs an average opponents' rating of 2230 to attain a rating performance of 2450.